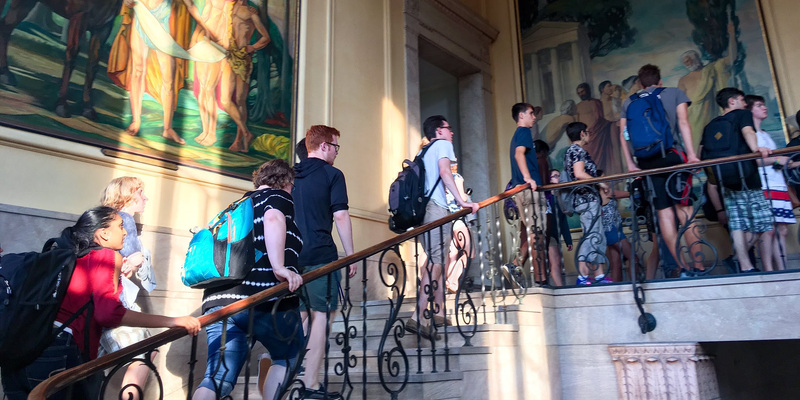 The purpose of the Baker-Nord Scholars in the Humanities program is to integrate incoming students into the life of the Humanities community at CWRU, offering them the benefits of a small liberal arts college within a leading research university. 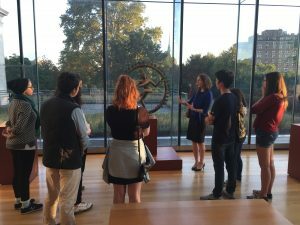 It is intended to supplement their experience within the department of their future major and foster interdisciplinary connections across the campus and the community, including the rich cultural resources of Cleveland. Students accepted into the program will be designated “Baker-Nord Scholars in the Humanities,” a designation that they will retain along with program benefits, for as long as they maintain good academic standing and proceed in a timely manner to declare a major in one of the affiliated Humanities departments. Participation in the Baker-Nord Scholars Fellowship Program, offering students a $500 fellowship in support of their advanced research in the Humanities. Second-level advising in the Humanities and career opportunities (in addition to their regular academic advisors). Special opportunities to meet with visiting scholars and lecturers. The opportunity to plan an event aimed at undergraduates as part of the Cleveland Humanities Festival (case.edu), to be held in the following Spring and funded by the Baker-Nord Center.